Fire 2.0 Black Competition Jump Rope, designed to make you fly at each training . Become a master at double unders. Add to basket. In stock. Immediate shipping. Velites Fire 2.0 is the perfect ally for any competition and daily training. Designed by engineers for athletes to maximize their speed and efficiency at double unders. A blend of high quality aluminium and top engineering allow us to produce some of the most resistant and lightest Jump Rope handles available on the market nowadays. The adjust key extended into the base of the Fire 2.0 Jump Rope allows to adjust the length of the cable to the height of any athlete. Easy to adjust anytime and anywhere. Maximal efficiency thanks to a perfect grip. The combination of the handle length and the diameter change creates a perfect grip that fits comfortably in your hand . The fast rotating bearings combined with a cable at a 90º degree angle prevents your Jump Rope from entangling and allows you to train without interruptions. El aluminio de mayor calidad combinado con el límite a nivel de ingeniería que permite producir las empuñaduras más resistentes y ligeras entre las combas de salto. La comba Fire 2.0 incluye una llave allen en su interior que permite ajustar la longitud del cable a cualquier atleta. Fácil de ajustar en cualquier momento, en cualquier lugar. La máxima eficiencia es posible únicamente con el agarre perfecto. El agarre perfecto nace de la combinación entre la longitud y el cambio de diámetro que se adapta a tu mano. tu entrenamiento. Los mejores rodamientos de alta velocidad combinados con un cable en ángulo de 90º para evitar que el cable se enrede y no vuelvas a detenerte durante tu entrenamiento. 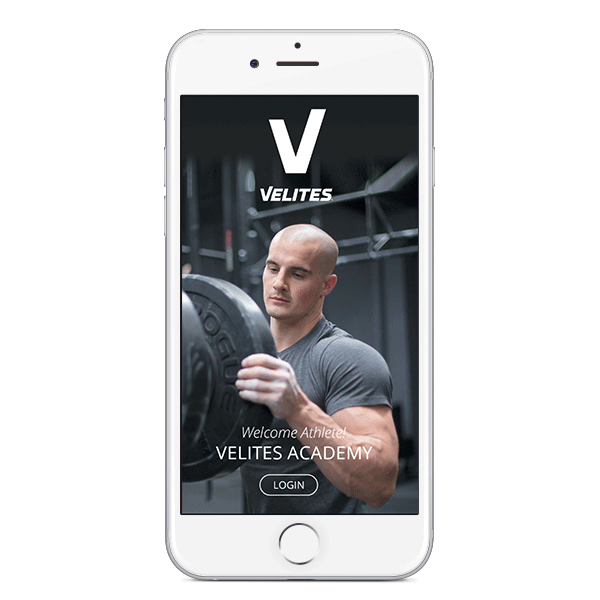 Get exclusive access to Velites Sport academy. Designed by top-athletes, includes training plans, advice and tips to enhance your technique. Learn how to stretch, improve your flexibility and recover correctly to avoid injuries. 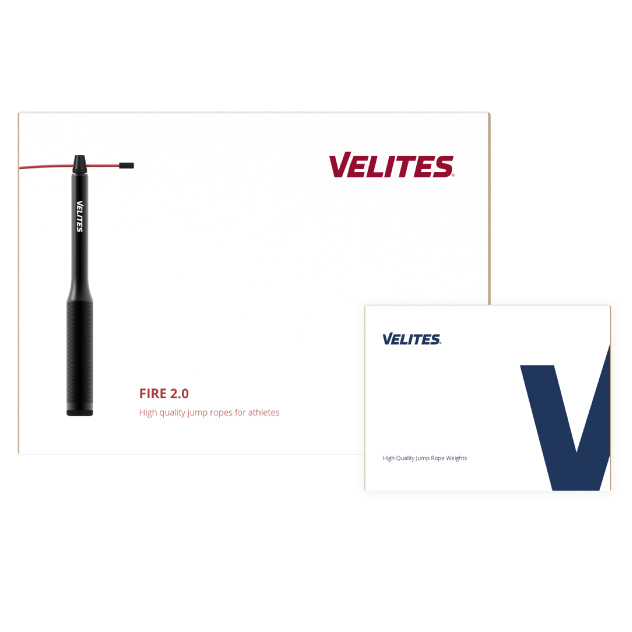 Get immediate access with the purchase of any Velites product. Just a week ago I started doing double unders with a rope they gave me in my CrossFit box. Afterwards I tried again with a Velites Jump Rope of a friend of mine and my double unders went much better, nearly perfectly. As soon as I arrived home I ordered one. Yesterday I received it. I would have bought it before, if I had known. An excellent rope! Yesterday I received the Jump Rope. UNBELIEVABLE!!!! The skipping is very light and it has a good grip. At first sight you can appreciate that it’s made of durable material. With my former Jump Rope, I could only jump for a limited period of time. With this rope, as it is so light, I was able to concentrate on my skipping and I automatically improved my speed. Fantastic! Rope with an outstanding design and a good grip thanks to the bar knurling finish. Its rotation is excellent! A good idea to insert the adjust key! The cable is just perfect (a bit rigid for the first two or three days, though). One drawback: the Jump Rope is a bit light, but as you can buy some weights apart, the problem is easily solved. The 2 mm cable is excellent for beginners but if you want to reach more speed you should buy the 1.8mm.Very recommendable!!!!! Buy the weights and improve the efficiency of your new Jump Rope. Add weights to your Jump Rope Fire 2.0 and expand your possibilities during training sessions with the Set of Weights and the Pack of Cables. 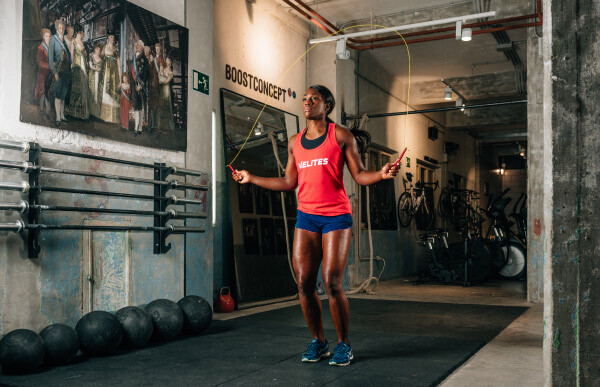 Get the most out of your Jump Rope and add the Set of Weights and the 3 Cables to your basket to develop your jumping expertise at different levels. Is the Jump Rope Velites Fire 2.0 the right one for me? he Velites Fire 2.0 Jump Rope is ideal for people who practise CrossFit. The new Jump Rope Velites Fire 2.0 is manufactured with high quality materials and offers great resistance and durability. It’s available in 3 colours: “coal black”,” velvet red” and “silver”. You can choose between different cables depending on your level and expertise at double unders: Red cable (2.5 mm) for beginners, yellow cable (2.0 mm) for regular use, grey cable (1.8 mm) for competitions. The Jump Rope includes a threadable low stopper. The adjust key extends into the base, so you’ll be able to adjust the length of the cable during your WOD without losing it. The handle is ergonomic and sturdy with bar knurling finish which guarantees a good grip. What’s more, the Jump Rope is compatible with other Velites products e.g. weights. You can add different weights to the handles to strengthen your musculature and improve your resistance and coordination. How long is the cable and what’s the ideal height of the user? The included cable is fully adjustable to your height. The 2 .0 mm cable, coated with nylon, is 3.5 metres long. Even the tallest NBA players can use it! Included you will find detailed instructions in various languages to adjust the cable to your height. You can also follow the instructions of the Velites Academy included in the box. What are the weights for? - Enhanced performance. Training with more weight on the handles allows us to improve our speed and resistance quicker than training without. - Muscular training of the arms. - Improved sensations. Being able to add 25g, 50g and 100 g to each handle, enables you to adjust the weight as you like. 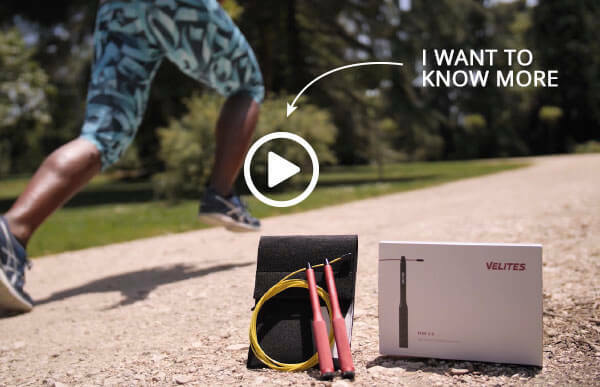 Velites Fire 2.0 is designed to be an extremely fast and light Jump Rope. Mainland Spain, Balearic Islands, Ceuta and Melilla 48-72 hrs. , Canary Islands: 7-10 working days, European Union: 7-10 working days. What’s the warranty on Velites products? What happens if I don’t like the products? We are proud to offer a 30 day return policy on all our products. If you are not satisfied after using the product the company will pick up the product and will pay back all the money you spent on it. Just write an email to the following address: help@velitessport.com *. If a product you bought online shows quality defects and you want to return it, no problem! You can return it at our online shop. As soon as we receive it, our quality department will check the product. If a product, purchased at one of our official shops shows quality defects, you can return it at any other of our shops of the country where you bought it. Our sales persons will check the product for defects. We will pay back your money, if -after detailed inspection – the product proves to show material defects of manufacture or doesn’t adjust to the normal sales conditions of Velites. Velites will refund all the expenses incurred such as shipping costs, package collection and product costs. Not covered under this warranty are all the defects caused by misuse, use of force or natural wear and tear. No refund is possible for products that were not purchased at one of our online Velites shops or at one of our official shops. You should take into account that the usable life of a product largely depends on how it’s used and on the conditions in which it’s used. The company accepts no liability for defects caused by improper use and natural wear and tear. Products that have reached the end of their useful life, which is minimum 6 months for cables , Hand Grips and Wrist Wraps , will not be replaced. Range of Velites Creams: these products are perishable and have an expiration date, which is printed on the recipients of all our creams. You have 30 days to try out the creams and all the other Velites products. However, if more than 20% of the product (quantity considered to be sufficient to test its efficiency) is used within the established period of time, the product will be considered to be non-refundable.